HEYDEERAHMA is a personal blog that capture any moment related LIFESTYLE & TRAVEL. The characteristic of blog readers are modern, young, high achievers, and open minded. Most of readers stopping by my blog to find recommendation and story of my experiences on travel destination, fashion and beauty, hotel, technology, and lifestyle tips. Recently, internet changed the way people find recommendation of the brand. They have tendency to trust their fellow recommendation than the old advertising. 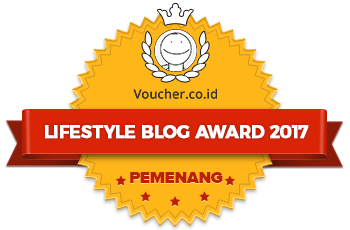 With long marathon of effort, @HEYDEERAHMA has growing to more than 60,000+ blog page views monthly, and has strengthen her blog existence as independent lifestyle and travel blog from Jakarta, Indonesia. She wants to help tourism board, lifestyle brands, hotels, business person and businesses to increase exposure of their brand. With providing some of keyword specific to your business, I believe many people will saw your marketing program through content I created. Check some of my partners here. @HEYDEERAHMA also offer any form of cooperation such as sponsorship, advertorials, social media influencer indonesia, web banner ads via blog and social media @HeyDeeRahma. I’ve posted some honest review based my experiences. If I feel positive and great of the brands or business, I would spread the news all over my blog and social media. Wants to spread the updated news about your brand or marketing program? Let’s discuss about sponsored tweet on my social media channel. Rate based on request. 01). Head banner (scaled around to 640 × 60 pixels) for 1/3/6 months. 02). Right banner (scaled to 300px × 250px) for 1/3/6 months. DEE has a background as a talent for photoshoot and for video appearance for your brand campaign, especially for fashion brand who has simple, elegant, and chic design for young women. Or you just simply hire her as a brand ambassadors or speakers for your new product launching. See her portofolio here. Many brand has worked closely with @HEYDEERAHMA to promote their event through fam trip. With an extensive experiences in copywriting and website development for marketing needs, @HEYDEERAHMA team could help you craft the great and compelling copy.